The US Department of Agriculture (USDA) calls for the next Dietary Guidelines committee to be more balanced, diverse and to include “fresh points of view.” Additionally, USDA is largely prohibiting previous committee participants from being reappointed. This is a significant step toward ensuring that the next Dietary Guidelines will not simply rubber stamp the status quo. Read our post on this important development here. Speaking of the status quo, an analysis by the Nutrition Coalition found that 11 of 14 of the last DGA committee members, in 2015, were vegetarian diet advocates. This is exactly why we need fresh perspectives and a greater diversity of views going forward. $1.72 trillion each year. That's the real economic cost of overweight/obesity in America, according to a new report by The Miliken Institute, a non-profit, non-partisan think tank in Santa Monica, CA. The estimates include both direct health care costs and indirect costs due to lost productivity. And the latest numbers on the cost of diabetes? For adults with type 2 diabetes, direct medical costs over their lifetime ranged from $54,700-$130,800, according to a new report by Paul Keckley, a health policy analyst. That’s more than twice the cost for non-diabetics. 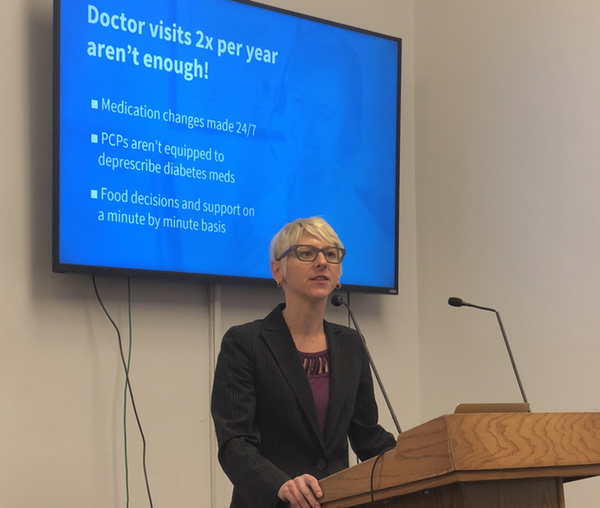 Keckley calculates that the total diabetes hit to the economy in 2015 – direct costs and lost productivity – was $322 billion, nearly twice the impact in 2007. CNN reports on a detailed study, published in The Lancet last week, that forecasts life expectancy changes across 195 countries between 2016 and 2040. Spain is predicted to edge out Japan for the longest lifespan – 85.8 years. By contrast, study authors believe that the U.S. is likely to fall from 43rd to 64th place in the rankings of high-income countries. Why is the U.S., a rich country, falling behind? Lifespan is largely determined by nutrition…which leads us, again, to the U.S. Dietary Guidelines and the need for these nutrition recommendations to be based on good science--to keep us healthy. A staggering number of U.S. troops weigh too much, according to a new RAND report. 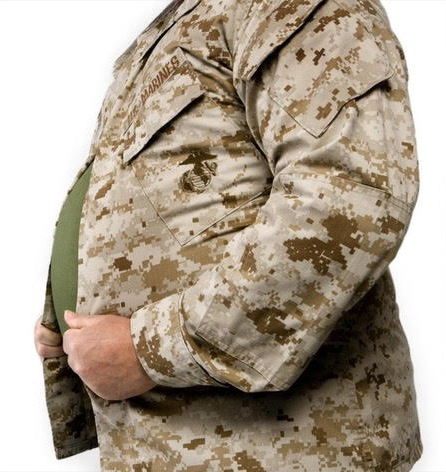 Rates vary by service, with the Army reporting highest rates of obesity and overweight – 69%, and the Marines with the lowest rate – 61%. The Coast Guard (68%), Navy (65%), and Air Force (63%) fall in between. The military gets plenty of exercise and follows the U.S. Dietary Guidelines. Need we say more? In a widely reported move aimed at reducing obesity, the New York City Health Department (NYCHD) intends to lead a voluntary campaign to get food and beverage companies to reduce the amount of sugar in their products. Specifically, NYCHD will seek a commitment from food manufacturers to lower average sugar levels in packaged foods by 20%, and a commitment from beverage manufacturers to cut sugar in sweet beverages by 40%. In another story that undermines our faith in nutrition science, a prominent Harvard doctor was exposed for scientific fraud, leading to the retraction of more than a dozen papers. Among other things, Harvard allowed this researcher at Harvard Medical School and Brigham and Women’s Hospital to start a company profiting from his scientific findings at the same time that he continued to research them--a huge conflict of interest. Harvard seems to have a more general problem in allowing its researchers to be tied to commercial interests, as we reported on here. Following an exposé revealing that the Dietitians Association of Australia (DAA) was targeting journalists who investigated the sugar and cereal lobbies, the association announced recently that it will cut ties with the food industry. Great move. We’d be delighted if the American Diabetes Association would do the same. That said, the American Diabetes Association and the European Association for the Study of Diabetes did take a step forward by adding a new therapeutic option for patients with diabetes: a low-carb diet. This change serves to acknowledge the strong evidence in the scientific literature on the effectiveness of low-carb and ketogenic diets in fighting diabetes. Does prediabetes contribute to male infertility? A study by Italian researchers found that 15% of 744 men with primary infertility met the criteria for undiagnosed prediabetes. A study out of Japan shows that patients who develop type 2 diabetes show signs of metabolic dysregulation 10 years before diagnosis. A gradual rise in blood glucose levels and decline in insulin sensitivity are thought to be the telltale signs. The Dept. of Veterans Affairs is outed for the bad choices it makes in stocking hospital vending machines. According to a new study, options are mainly soda, candy, chips, and other junky snacks. 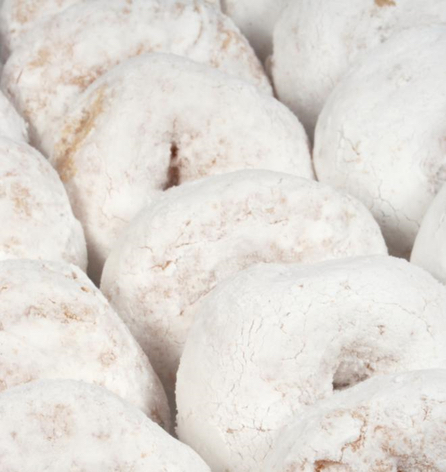 Why should kids be getting donuts for breakfast at school? Because donuts comply with the Dietary Guidelines. We need your support as we work towards evidence-based Dietary Guidelines--to make America healthy again. With thanks to Jenni Callahan for contributing story ideas.